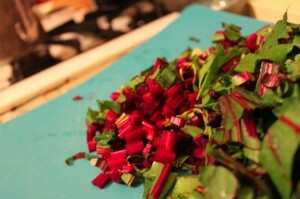 So I ran down to my local urban farm stand and got me some beets with greens lovingly still attached. I brought them home. I looked at them. And I thought. Hmmm. Beet greens and beets….and I turned to the internets, and I found this recipe on Epicurious. And for maybe the first time in recent memory I actually had all of the ingredients on hand. I riffed upon above: adding a few things like more garlic, red wine vinegar, and veggie broth instead of water. I wish I could say I thought of this stuff myself, but no. All I can say is that sometimes reading the comments section is more educational than the blogpost itself. Here’s what you do. Wrap the beets in tinfoil and roast them in the oven – about 400 degrees for 40 minutes. Ish. 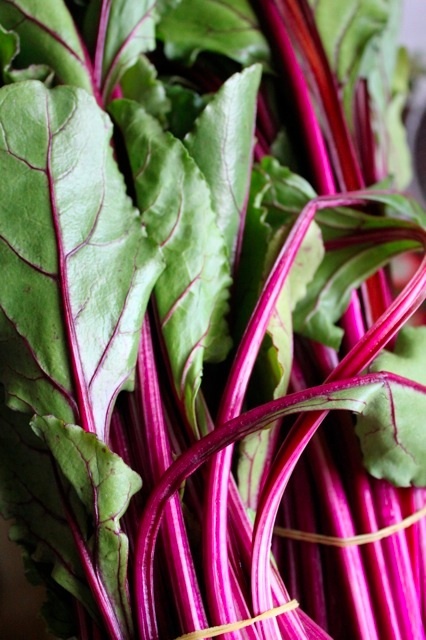 Wash and chop up your beet greens, stems and all. The greens will wither down but the stems won’t, so cut those smaller. Heat the four cups of veggie broth in a saucepan and keep it at a gentle simmer. 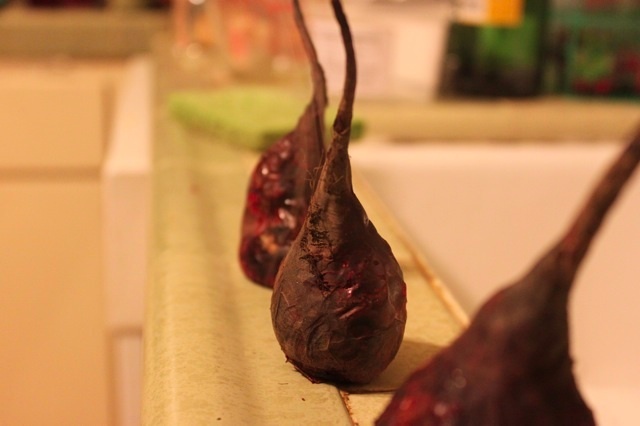 Take your roasted beets out of the oven. The skin should pull right off and you can dice them small. Saute your onion in the butter. 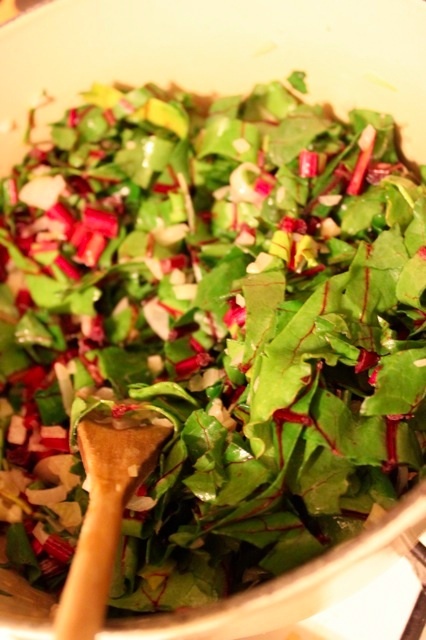 Add the greens and stems and saute for a few. Add the beets. 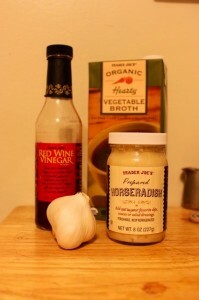 Add the Arborio and stir. Now add one cup or so of the hot veggie broth and let it absorb. KEEP STIRRING! 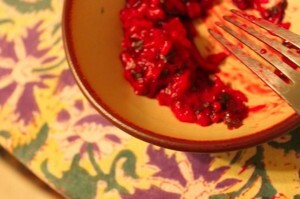 Add the broth in ladle-fulls until it’s all absorbed and your risotto is still al dente but is starting to look creamy. Remove from heat and add the Parmesan. 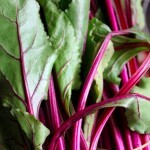 I’ve got another bunch of beet greens still waiting for me on the kitchen table. What do with those? Suggestions please? Oh my gawd, girl. 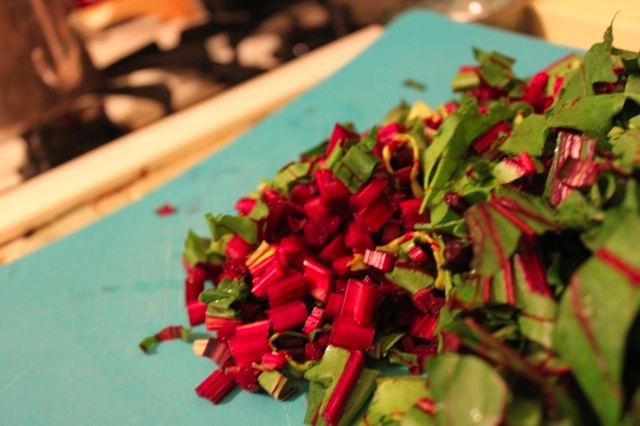 I am the flippin’ QUEEN of beet greens! 5 minutes, no muss, no fuss, and you are good to go. Best green thing that will ever hit your mouth! Sent here by Laura Zigman. Love your style. 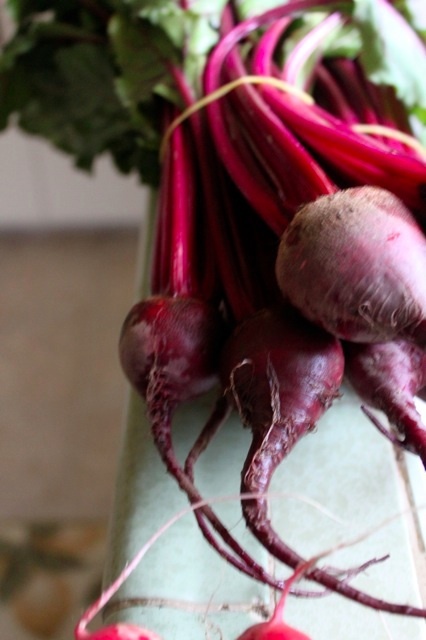 Always feared the radish, but I’m making this tonight. You’ve inspired me.